Taglines: Based on the true story of the legendary z-boys. Cameo: [Tony Hawk] has a cameo as the astronaut that falls off the skateboard. Miscellaneous: When Jay is riding down the street with no shirt on, his shadow changes from nothing, to a full sized shadow. Stacy: [in full skate gear] So, what's up with Tony? 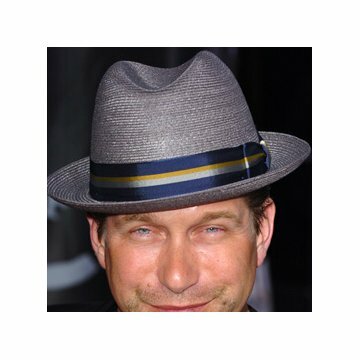 You guys still skate with him? Jay: He's competing with the sun for the center of the universe. Jay: [to Sid] Stacy looks like a stock car. Although there has been much controversy about whether the movie has really portrayed 'Dogtown' and the z-boys accurately, i feel this is not even necessary. If you feel unsatisfied with what you have learnt about the z-boys and Dogtown go and watch Peralta's documentary Dogtown and Z-boys. 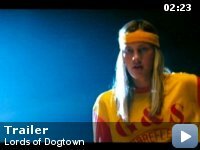 Lords of Dogtown has the intention of entertainment and i personally exetremely enjoyed it. Lords of Dogtown tells the story of how a group of Venice street kids changed the face of skateboarding (and, to some degree, youth) culture in the mid- to late 1970s. 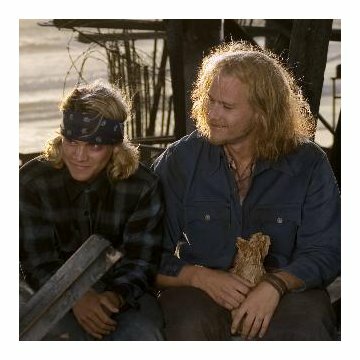 The adolescent adopted the Zephyr Shop, a surf store run by Skip Engblom (Heath Ledger), as their home away from the own dysfunctional homes. Engblom recruited the best skaters for the Zephyr Team. 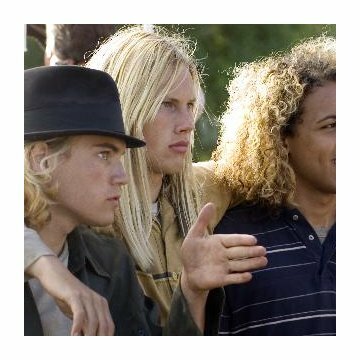 Including: Tony Alva (Victor Rasuk), responsible Stacy Peralta (John Robinson) and troubled bad-boy innovator Jay Adams (Emile Hirsch). With the introduction of urethane wheels (revolutionary for the boys skating style as now the wheels gripped, they could "climb walls")and the timely South Cal drought meaning swimming pools were to be emptied, giving the boys perfect locations to practice their gravity-defying maneuvers, Zephyr became the be-all-end-all of the skateboarding scene. 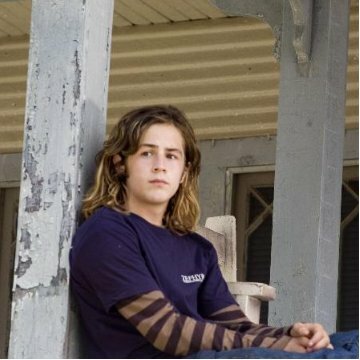 "Lords of Dogtown" follows the rise and inevitable fall of the team, efficiently conveying the events with a flat accuracy that emphasizes history over character development. 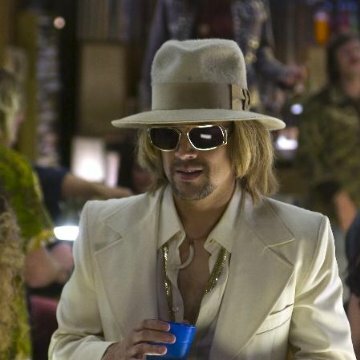 Director Catherine Hardwicke ("Thirteen") does an outstanding job of re-creating the seedy '70s atmosphere so much so that you could be forgiven for assuming you were watching archival outtakes from "Z-Boys." Hardwicke really nails that sense of post-Vietnam, rejection of authority of SoCal. Hardwicke also understands the thrilling nature of speed for these kids. She employs a point-of-view camera from a skateboard's wheel to convey the rush. Hardwicke's most important achievement, however, was how she portrayed that skating was indeed these boys life. You really could see how skating for character Jay Adams was an outlet for the psychological pain he was experiencing. Hardwicke was very devoted to her character's individual portrayals. She has 3 contrasting personalities of main characters and shows this also through camera techniques. Jay being the more kinesthetic, hard, "go-go-go" character has many hand held shots and the zoom is employed more, creating a rough, jerky portrayal. Stacey Peralta being the strangely responsible one with a job has straight on, clean cut shots. Tony Alva, however, our most competitive Z-boy by far is filmed often from below, giving him a larger than life presence. The movie was composed exceptionally and not too 'Hollywood' ( that is focusing on unrealistic character relations and excruciatingly social-analytical). It moved just fast enough to stop you from being potentially bored by the many skating scenes if you did not fit that demographic. However, even there i felt Hardwicke handled this amazingly too. I have never thought in my life i would ever watch a skating movie but i simply adored this one. Character relations were conveyed so realistically. The boys relationships were almost to real, you could feel the unspoken tension between them as the Zephyr team starts to go their separate ways. Hardwicke shows that true, stereotypical male bonding, that is that their love of skateboarding in the end is what brings them together. Featuring a great soundtrack - including much Jimi Hendrix, David Bowie and the classic Wish You Were Here, i gave this movie a real thumbs up.